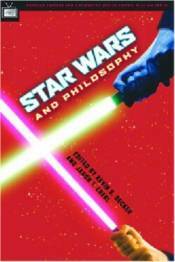 The essays in this volume tackle the philosophical questions from these blockbuster films including: Was Anakin predestined to fall to the Dark Side? Are the Jedi truly role models of moral virtue? Why would the citizens and protectors of a democratic Republic allow it to descend into a tyrannical empire? Is Yoda a peaceful Zen master or a great warrior, or both? Why is there both a light and a dark side of the Force? Star Wars and Philosophy ponders the depths of these subjects and asks what it truly means to be mindful of the "living force."